All SDIO device should work with Pandora, it only requires the device driver to be present and loaded. There is no electronic or physical difference between SDHC and SDXC. Cards with larger capacities are marketed as SDXC. Most SDHC and SDXC cards will work in the Pandora USB_compatibility_list. provided they are formatted with a compatible filesystem, such as FAT32 or EXT2/3. Cards that preformatted with exFAT need to be formatted to compatible filesystem. 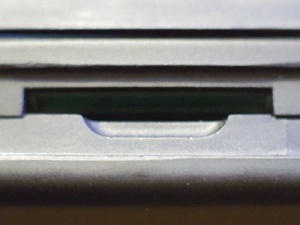 The openpandora has two fullsize SD-card slots to chose from. The Pandora OS can read cards formatted with various filesystems including ext2, ext3, ext4, fat32. Also, NTFS if you install the codec pack. If you don't want to install an OS on your card, FAT32 gives good interoperability. # 't' then '83' to change the partition type to linux, then 'w' to save. ext4 works well, and fsck is very quick. If you'd rather use ext2 or ext3, run mkfs.ext2 or mkfs.ext3 instead, with the same options. Another option you can use, -N sets the number of inodes (max file count). You can reclaim some space by using fewer inodes, e.g. -N 500000 or -N 1000000 for a 32GB card. the Community Codec Pack must be installed. A digital camera, provided you have one, is a quick and easy way to format an SD card. Put it in, select format, done. Use the Panasonic SD Formatter. SD cards perform much better when the partitions are aligned correctly, starting at 4MB. This is important! If you do want to slice your SD card into several partitions (see #Boot_setup#Setting up mutliple-partition SD cards for booting), you can use the cfdisk command-line tool on the Pandora to create a partition table, or you can also download and use the graphical tool gparted. Note that - as of Zaxxon HF5 - the Pandora firmware doesn't have a command to format FAT partitions, so if you want to use the FAT/ext2/swap - scheme, you'll have to format the first partition on another system later on (under Windows, use the Disk Management tool). WARNING: mmcblk0 will not necessarily be the left slot. It's the first card that the system recognizes, which is usually the left slot (but not if you inserted an SD into the left slot after you had one in the right slot, for example). Please make sure before you do anything dangerous e.g. use 'mount' to see what filesystems you recognise are mounted from where. cfdisk -z starts off with a clean partition table - if you want to see what's set up currently, use cfdisk /dev/mmcblk0. Use only primary partitions (so you're limited to four slices). Download the gparted PND and install it. 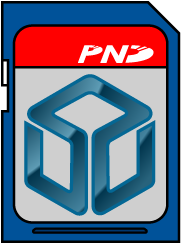 Note: this generally requires having a second SD card to install it to, though it should be possible to install it to the /pandora folder in your filesystem root, which will install it to NAND. Find the program under 'System' in the menu and launch it. WARNING: It will start off pointing at /dev/mmcblk0 which is usually your left slot, but may not be. You can switch between the two card slots (if you have a card in each) and deduce which is which from the graphical display and the partition labels, but please be sure before applying any changes. Selecting 'information' from the right-click menu will also show you where each partition is mounted on the root filesystem, if it is currently mounted. If the system has automounted the existing partition it'll show as locked and you'll need to unmount it using the right-click menu before you'll be able to change it. In this case, you'll probably want to delete it and create new partitions. Note that whatever partition your end up installing your boot/autoboot.txt to must be either ext2 or FAT, but you have a freer choice of filesystems to use on other partitions. Once you've decided on your partitions and marked up the changes you'll need to apply them. Use the Apply All Operations menu item from the Edit menu. Then sit back and wait as it repartitions and reformats your card. This guide assumes you have got the operating system of choice at the ready. Check out the many different OSes available and pick your favourite from software section. This page was last edited on 20 July 2015, at 23:45.